CCIPD, with the exception of the Vocational School, has a certified Quality Management System since November 2010 in accordance with Standard NP EN ISO 9001:2008, within the scope of “Provision of business association services”. It is the first Azorean business association to receive this award. This certification means an important step in demonstrating the CCIPD’s internal working procedures and illustrates the rigorous and quality services it aims to provide. 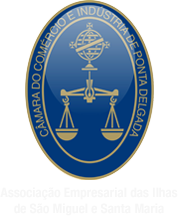 To create value for CCIPD’s members through the provision of business association services, including the whole organisation in the process of continuous improvement, in order to serve and meet the interests of the members, of the Board, of the employees, of the suppliers and of other partners, as well as of society in general.